The United Kingdom is often thought of round the world as being a bit weird. Mainly because we’re obsessed with the weather and tea drinking. However it may also be for it’s long and storied history of paranormal activity, and a host of ghoulish and unexplained phenomena within these Isles. Here are a selection of strange tales all hailing from the UK that might make you think twice about a trip here if your not a resident. After being partly mauled by the animal it fled, but shortly after when Mr Holder was being treated by medics he caught another glimpse of the cat. As did a policeman who also attended the scene. Over four years later there was another incident in Sydenham with a man jogging. 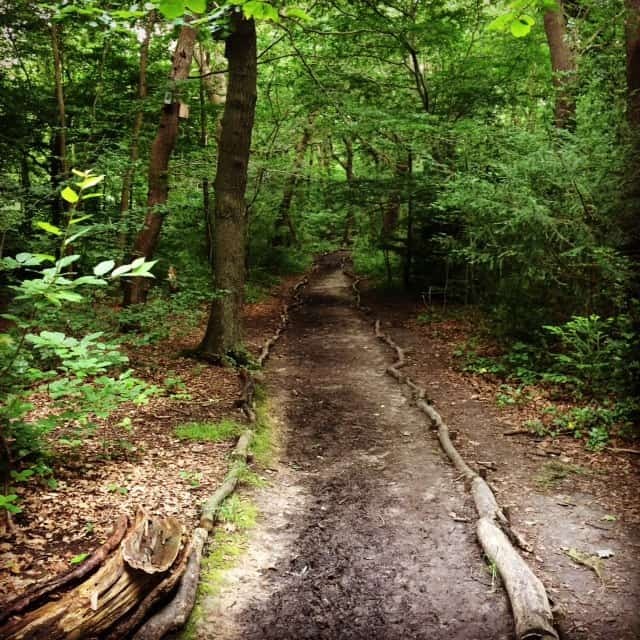 Rodger Fleming had gone for a late night run with his bull terrier when he locked eyes with a five to six foot animal at the bottom of a path leading into Dulwich woods. He picked up his dog and fled through the woods with the beast giving chase. Mr Fleming was about to stop running through exhaustion when he noticed the big cat had gone. The British Big Cat Society estimates there could be around 100 of these big cats roaming the UK. The most famous over the years was the fabled Beast of Bodmin Moor. The Dangerous Wild Animals Act of 1976 is said to have played a big part in these animals appearing in the wilderness as many owners of these wild animals now had to have licenses and comply to regulations and simply released them rather than take on the demands of the new legislation. 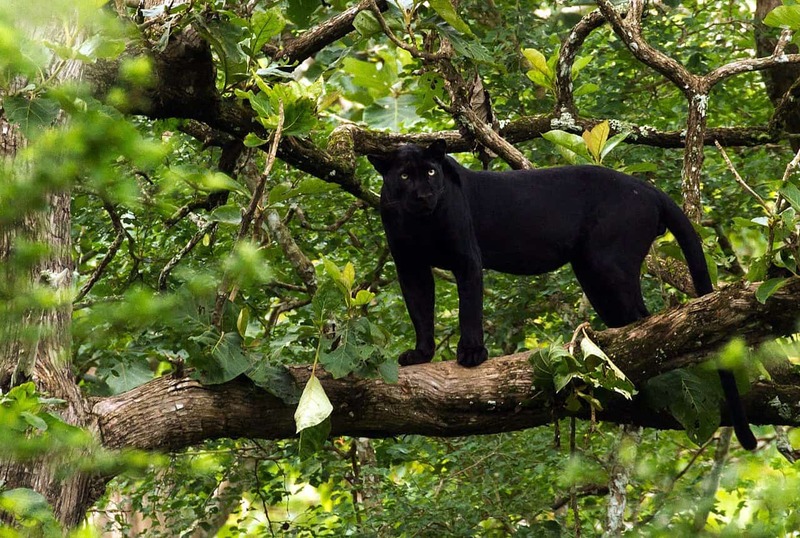 Many of the locals remain skeptical about the potential panther in their midst. But no doubt less residents go for a walk on their own through the forest just in case. The county of Devon in the UK is synonymous with beautiful rich green rolling countryside, a stunning coastline, great tasting ciders, but perhaps not so much with Hairy Hands! Yet this enduring story has been repeated many times by different people all recounting very similar occurrences. The tale goes that it’s been known, if driving down a certain remote stretch of road on Dartmoor between Postbridge and Princetown, a nasty pair of hairy, superhumanly strong hands appear and grab your steering wheel or handlebars trying to force you off the road. 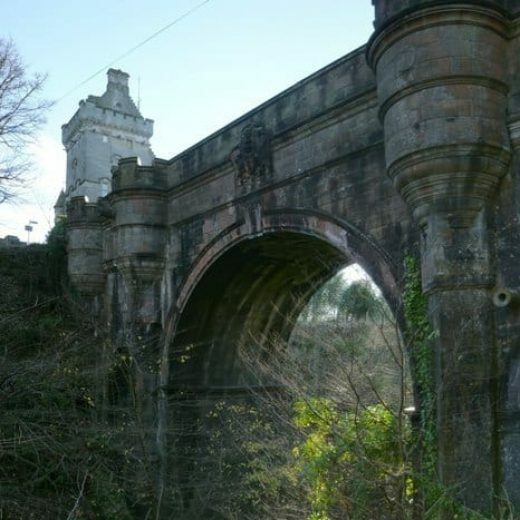 June 1921 was the first time an incident came to light, when the medical officer at Dartmoor prison was killed after the motorcycle he was riding crashed after becoming uncontrollable just past a small bridge that crosses the East Dart river. His two children were riding in the sidecar at the time and heard him shouting at the hands to get off the bike before they jumped clear before the crash. One incident saw a young army officer who was injured on his motorcycle but survived after being forced off the road. He said that a pair of large, muscular hairy hands grabbed his, leading to the accident. There was also a chilling occurrence in 1924. A young couple, newly weds were travelling through the same area on a caravan holiday. 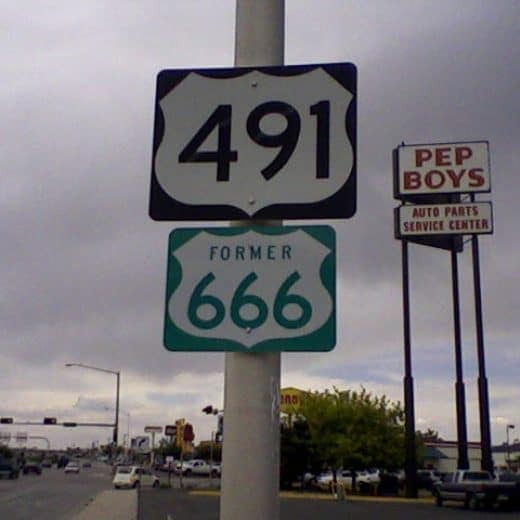 After their car broke down on this spooky stretch the woman’s husband went to get help and locked the car door. Not long after she heard a loud thump on the roof. After nervously trying to find her torch, she turned it on only to illuminate a large pair of hands, covered in hair, clawing at the passenger window. Being religious the woman drew a cross on the inside of the misted window and the hands vanished. What could these hands be? The spirit of a man killed on the road? 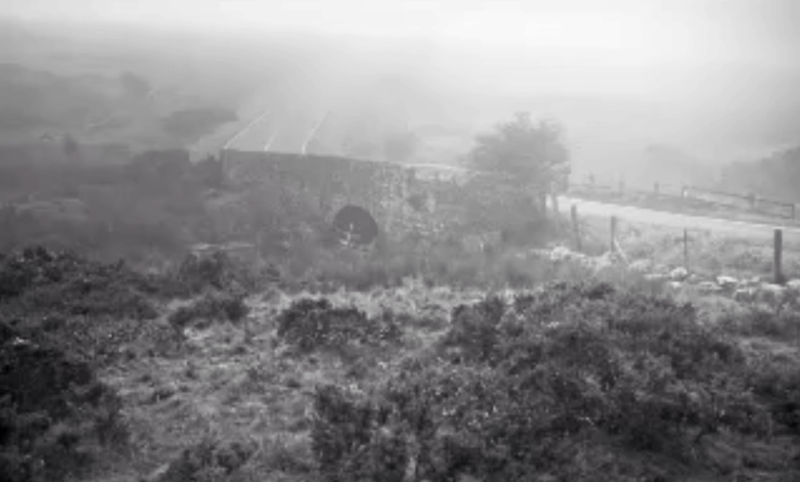 Or the ghost of a vengeful Dartmoor prisoner? Whatever they may be, if you find yourself driving through Dartmoor anytime soon on the now slightly less scary sounding B3212, maybe keep an eye out for The Hairy Hands, or it may end up being your last trip. Claimed to be one of the most haunted areas in Britain, Cannock Chase in Staffordshire has been the scene of some strange and paranormal activity over the years, but the most newsworthy incident has been the numerous sightings of a ‘Black Eyed Child’, regularly seen in the woods by ghost hunters and dog walkers alike. In the UK and the US tales of black eyed children have been told since the nineties, with reports of pale skinned kids turning up on residential doorsteps and hitchhiking on roads, subsequently they have become something of an urban legend. In the case of Cannock Chase, the area gained notoriety after the terrible murder of three young girls back in the 1960s, with the body of seven year old Christine Darby having been found in the woods after an extensive search. Local man Raymond Leslie Morris, was charged and convicted of the murder after his grey Austin A55 was identified in another attempted abduction of a 10 year old girl. He spent 45 years in prison before his death in 2014. 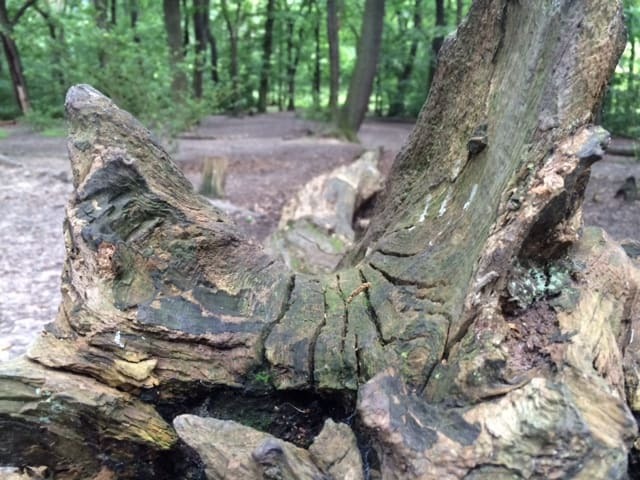 “…..around 2 months ago my daughter and I were walking through Birches Valley (an area well known for it’s spectral sightings) when we heard the screams of a young child. I couldn’t tell if it was a boy or a girl, but they definitely seemed in distress and sounded very close to us, so we instantly started running towards the noise. Whatever your thoughts Cannock Chase has been a hotbed for paranormal activity for many a year, and it’s a brave man or woman that enters those spooky woods after dark.